Now, more income generation may be difficult to exercise for everybody (and it's a topic of its own) but frugality is definitely an area that one can master and solve most of the financial crisis. Experience shows that hard earned money is quickly spent on luxuries and unnecessary items. 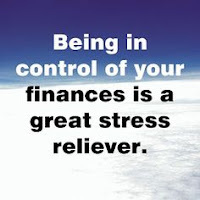 If we can cultivate a habit of controlling our spending spree than we can be much better off, financially speaking. 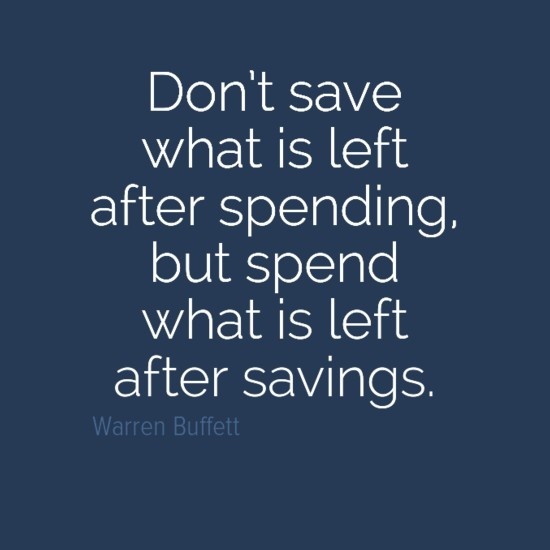 There is actually a very long list of things that one can do to increase savings but the key to implementing it, is the will to change one's habits and learn to not care-a-damn about what people are going to think or say. Afterall these 'people' aren't really increasing your bank balance, so why care? A good friend will always encourage good habits and right motives, so know who your real friends are and share with them the reasons behind your changed lifestyle. Once you have firmly decided to adopt a money saving lifestyle you can start practicing any of the points below that may be applicable to you. Along with practicing below strategies, do remind yourself time and again that little drops of water make a mighty ocean. So have patience. You won't become a millionaire by adopting this lifestyle (but who knows, you just may! ), but you will definitely be able to clear your debts slowly and have some emergency savings in a long run. As we all know, knowledge is power. List out your monthly expenditure category-wise against the sources of income and add an extra column preferably in RED for the list of debts. Eg. Rent, electricity, water, fuel, luxuries! Yes, the last word is actually what you are aiming to cut down. Make a list of the things that you want to buy and stick to it. Random shopping usually leads to buying unnecessary items and overspending. Do not be influenced by what others are buying or what TV commercials recommend. Buy only those things that you will really use. Buy quality goods for regular use as this will last longer although they may be a little costlier initially but saves you recurrent costs. Don't be afraid to look for used goods. Usually they are still in good condition and cheaper, your purpose served. Try generic or store brands than branded goods. Experience shows that they serve the same purpose in a long run and save a lot of cash! Avoid flashy malls which only add up holes in your pockets instead search for cheaper shops that sells similar products. Always develop a habit of comparing prices before buying goods. If you come across a tempting item that you want to buy, give yourself few weeks of thinking over it. Many a times, after a while you realise that it was nothing but an added cost. Avoid impulsive shopping. Buy items for personal use only after what you have is about to be over. Larder items that have maximum use and are imperishable can be bought in bulk: will cost you lesser while less often used perishable items should be bought in smaller quantities. Choose your clothes wisely. Buy say, five pairs of pants with 7 shirts and three ties all such that they can be mix and matched! 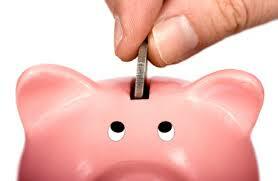 You will have a new look each day of the week and saved cash in your pocket! EAT TO LIVE; DON'T LIVE TO EAT. Go for healthy food choices like fresh veggies rather than canned or stored foods. They are better for both, your health and your pocket. Minimise non-veg consumption from daily to once or twice a week. Be healthier and wealthier. Prepare your own meals. 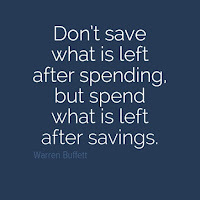 This is the best way to save. Learn some few easy recipes that require less number of common ingredients which are readily available and not too costly e.g potatoes, onions, tomatoes etc. Here is a fact: with only potato you can make over 40 recipes! Try mashed potatoes today. Invest in a good cook book that suits your taste and time, if you are new to cooking. You may, alternatively, search online for recipes. That's what I personally do when my tastebuds tingle. Mind you, I am no amateur in the cooking field. For those of you who are too busy to prepare a meal on time, cook in bulk instead when the time permits (like once/ twice in a week) and store food in the refrigerator. All you have to do then is warm it up when the tummy growls. Plan your meals with whatever is available in your pantry. Recycle your leftovers! Food wasted is money wasted. You can make lipsmacking recipes with leftovers and they are easy to prepare too. Like veg fried rice from leftover rice or a quick sandwich from leftover salad! Having a healthy & filling breakfast not only keeps your weight and sugar levels in check but also decreases that midmorning urge to snack. That way you stay healthier and a penny richer. Try oatmeal, if you are a fan. Carry lunch to work. Now that's what I had meant by having the will to change your habits. At the end of the day it doesn't matter who thinks what and who knows you might be setting an example for others to follow! Is the roadside tantalizing aroma of delicious foods making you spend unnecessarily? Simple: change your route! Well this may be easily said than done for some but for others it may be a wise solution. Avoid eating out instead stay in and party with friends. Its cheaper and more fun! You can all help prepare a meal, play cards, games or watch a movie cozily. Not every holiday or off means going out to relax, you can relax at home too. Saves you a lot of cash! Avoid friends with bad or lavish habits. They can probably afford and may not be in a debt pit as you are. You don't have to tag along always. Learn to say no. Cut down on your luxuries. Learn to live simple. Pack food for road trips. Saves you time, fuel and cash. Prefer water over any other drink. Its cheaper and a healthier option. BE A LOVING PARENT NOT A RICH ONE. What do kids really need? I am not talking about their wants, mind you. Love, care and attention. That is what they usually seek. There are many ways to do that, spend time with them, listen to them, play mentally and physically challanging games. Don't always build a habit of buying watever they ask for. Explain the reasons. Costly toys and gadgets gives momentary pleasure, long term addiction and ill effects. You are actually driving your children away from enjoying their innocent childhood by keeping them hooked onto gadgets. It's okay to use these technology when necessary but it usually becomes a habit difficult to control. 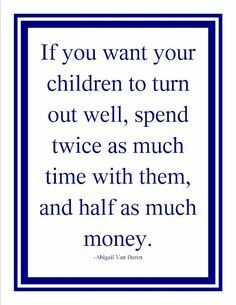 So gift your children appropriately and wisely. Let them know the real meaning and value of the word gift, only then they will consider it precious. Try fixing things around the house yourself before you call for help. There are online tutorials for almost everything these days. This will increase your knowledge, better your skills and even if you fail, you will know exactly what you could have done the next time you encounter the same problem. Mend your own clothes instead of just throwing them away. Try, yeah! It's really easy. A stitch in time saves nine! Now take that literally please. Go through your closet and be honest with yourself. What you don't really need could be sold online or offline. For God's sake quit smoking. You are trading hard earned cash for smoke and ashes, lung cancer and all other hideous diseases. Yes, you do have that willpower and CAN do it! So just STOP but not before you sit down and spend time calculating just how much cash you have lost till date for such a deadly habit. You could have been richer, couldn't you? Swap books, cds, Vcds etc with friends, in library or shops or even online. Cancel memberships in gyms/clubs/ magazines/newspapers which you hardly use. You can always rejoin when necessary. If possible, exercise at home or at a friends' who have gym equipments instead of joining an expensive gym especially if you aren't that regular. Be hygienic. Saves you on medical bills. Save water, electricity and fuel. Switch off all appliances/lights/fans etc when not in use. Prefer to walk when you can and save on fuel. Cut on cable/dish services for tv. Be honest to yourself is it worth paying all that money for just watching it for an hour or so per day? Mostly, life is too busy to give time to our families and other times you are caught dozing in front of the tv anyways! Instead use that time to think of starting a side business or paying a visit to an orphanage, the latter will make you realise how rich and privileged you are! receive cash/salary. Thereafter, pay for the necessities: food, shelter, electricity, water etc. Budget. A written record is always the best way to help you save. Try sticking to it. It's okay if sometimes you can't but mostly you should. Carry minimal cash in your wallet/purse daily. The more you have the more you'll be tempted to spend. If you are very good at spending impulsively than (Fixed deposit) FD or (recurring deposit) RD your cash. No matter how small the amount or how low the returns, remember something is better than nothing and ofcourse Rome wasn't built in a day. Avoid buying things on EMI's, credit or loan. Its just a long term burden both mentally and financially. If you calculate, in the long run you may actually be payimg more than the real value of the commodity that you bought. Have a simple principle: no cash, no purchase. Always keep a track of your debts however small, and pay it off as soon as you have cash even if it means paying in piecemeal. Stop the habit of borrowing cash from here and there. Friends may lend you but they too will get vexed and you are only making your debt load worse. Learn to stretch your legs as far as the blanket allows. Keep a piggy bank handy. Save all your loose change in it. Someday, you will be grateful that you did this. Have future goals in mind. At 25, you may find it silly to save for your retirement. At 40, you will be regretting why you didn't. Start saving early. Have two or three bank accounts when cash permits. Compare the interest rates and start FD or RD even for minimal capital and period of time. Rotate the same cash or add on again and again depending on interest rates. Slowly over time the returns may become significant. Always invest where safety is guaranteed. Make few sacrifices and debts aren't defeatable. Have patience. Not everyone can become a millionaire overnight in legal ways except for few lucky ones. Incase of life threatening debt situations, talk to your family members or friends. Somebody is bound to help you out. Never give up. There is always an alternative. You just need to look for it. Make sure its legal.